Stunning account of America's first cadre of fighter pilots: the 1st Pursuit Group. When Congress declared war in April 1916, the Europeans had deployed their third generation of fighters, equipped with machine guns and capable of speeds in excess of 100 miles per hour, while the American Air Service consisted of only a handful of aviators in unarmed trainers. In this first in-depth study of America's first air warriors, book shows how in two years the 1st Pursuit Group organized, absorbed French and British technology and experience, and became a well-led, respected, and lethal force over the trenches of the Western Front. 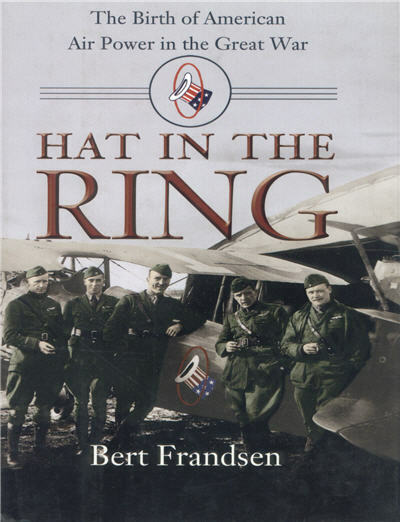 Features Eddie Rickenbacker, Billy Mitchell, Frank Luke, Benjamin Foulouis, Bert Atkinson, and James Meissner. 320 pgs, HB, 6 x 9, 42 photos, 4 maps.